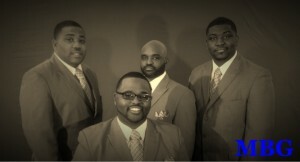 One of Gospel’s most critically acclaimed new quartets, Perfection, will perform at The Gospel Quartet Series showcase on March 24, 2013. The group will be performing along with Pastor Tim Rogers and the Fellas and up-and-coming group Meant by God. Perfection came to national attention in the fall of 2012 by winning the Gospel Superfest Battle of the Bands contest. The prize for winning the Superfest Battle of the Bands was a spot opening the 2013 Allstate Gospel Superfest national TV recording and $2,500.00. Perfection won the contest amidst tight competition including 45 other contestants. Come see Perfection at the Kroc Center on March 24 at 6:00 p.m. with Pastor Tim Rogers and the Fellas and Meant by God. Gospel Quartet Series artists, Tim Rogers and the Fellas, have been nominated for two Stellar Awards. Yes, two! Notably, the group has been nominated for Quartet of the Year (click here for more). We are excited to wish them success at the awards ceremony. Follow us on Twitter, January 19, for exclusive coverage of the Stellar Awards. See Tim Rogers and the Fellas at the Kroc Center in Memphis on March 24. Show starts at 6:00, but The Gospel Quartet Series will host a video interview of up-and-coming-group, Perfection at 5:30.